Page 98, Item 1 of the first of Teresa Vanderburgh's Musical Scrapbooks - program for concerts by the Toronto Philharmonic Society. Performances include "Elijah" and "Eve". April 1891. 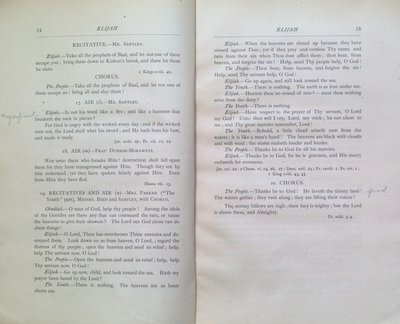 Part of the program for "Elijah" appears on these pages.